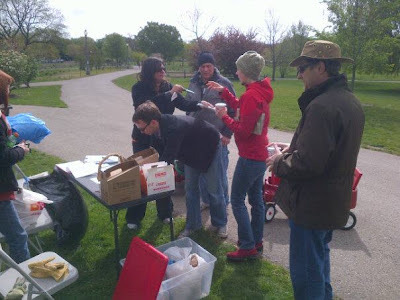 Winnemac Park Neighbors, Ravenswood: Meetings this week, upcoming events! Meetings this week, upcoming events! Saturday, April 20th 9:30am to 12:30pm: Winnemac Park Spring Clean and Green! Sponsored by Winnemac park Advisory Council and Eric Rojas. Coffee, breakfast goodies and clean-up supplies provided! Wear gloves, bring the whole family (please RSVP to info@winnemac.org if you will definitely be coming so we may gauge food and supplies). Sign-in table located at the center tennis court in the park. Please contact us at info@winnemac.org to contribute your own blog posts and events on this page. All blog post updates are sent to our mailing list each Thursday at 5PM. Chappell School "Friends of" meeting re-cap!